When builder Colin Clarkson visited his local Eurocell branch in Wakefield to get a price on some roof tiles he did not expect to end up renovating his new home from top to bottom in products from one single source. Yet now his upgraded bungalow in the Stanley district features Eurocell-sourced products throughout: from the Tapco composite tiles on the roof and garage he was initially after; to Skypod skylights, Dales Collection composite doors, PVC-U windows – and even the rainwater goods. “It all came together really well,” says Colin. “I’d recommend Eurocell to anyone – I got a good price on everything, the quality is 100 per cent and they’ve given me the absolute assurance that if there’s any problem they’ll change the product.” For Colin, the proof of the improvement made using Eurocell-sourced products came in the shape of five unsolicited offers on the house before completion – and despite it not being for sale! The building itself was an early 1960s two-bedroom brick and block bungalow with a conservatory extension that had been owned by the same family since 1968 and was in a state of disrepair. 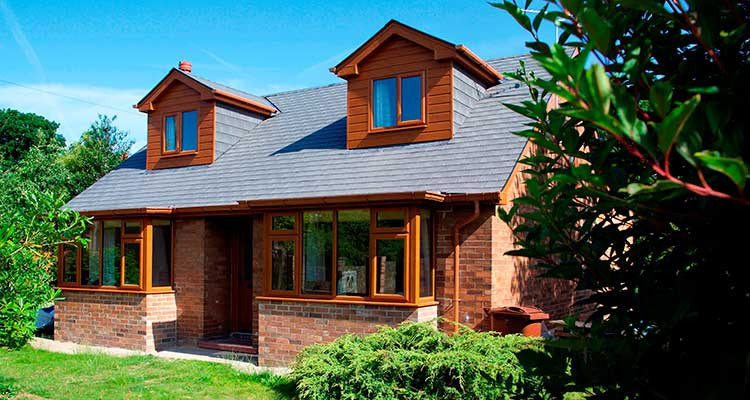 Colin saw its potential and bought it to convert into a three-bedroom home with pitched dormers and a Skypod-roofed extension that matched the best of contemporary design and living standards. “I first went to Eurocell because it was one of the few suppliers of Tapco composite tiles and they were well priced, yet then when I saw the Skypod skylights I wanted them: I had a conservatory before and knew this would sort the problem of freezing in winter and boiling in summer. 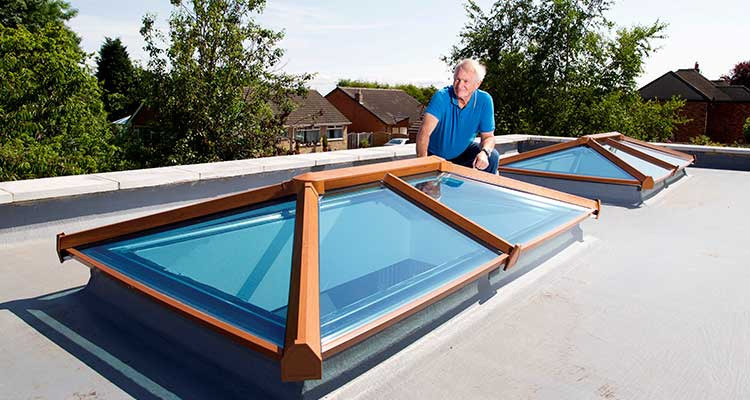 And it all grew from there.” Supplied with a 10 year guarantee, Skypod skylights are swiftly installed and bring the benefits of extra light and height without the penalty in conservatory heating costs as the double-glazed skylight has a U-value of 1.0. A wide range of frame and glass options complement any home while self-cleaning, temperature controlled glass keeps maintenance to a minimum. Available in two-bar or three-bar pitched gable design, Skypod can be manufactured to fit any space with sizes up to 2.75 x 7.75m. So the new home consists of mainly products either made by Eurocell or exclusive to Eurocell. They include Chatsworth entrance doors at the front and the back from The Dales Collection range of composite doors, PVC-U windows and patio doors from a Eurocell fabricator using the Eurologik profile; fascia, soffits, guttering and downpipes; Roomline internal PVC-U skirting boards; all the underground drainage and all the ancillaries necessary for the job were bought at the branch. Available in a wide range of styles, The Dales Collection of composite doors enables homeowners to select the design that complements their property as each style can be ordered in a range of contemporary and classic colours including French Blue, Royal Magenta and Anthracite Grey. Furthermore, the exterior finish of both the door and the frame can be carried through to the interior face, giving a fully co-ordinated look; and all The Dales Collection doors are available to Secured by Design (SBD) specification if required. The Skypods shown in the case study above are from Eurocell's lantern roof systems. They're more of a 'ceiling window' than a traditional skylight, but do offer the same light improvements to dark flat roofs, but in a more attractive way. You can find more information on Skypod lantern roofs here - https://www.eurocell.co.uk/homeowners/conservatories/skypod-lantern-roofs, and even buy online! Hi Wanted to know was reading the the house that eurocell built. Does that mean u do skylights too? Eurologik and Cavity Closers used in the UK’s largest zero carbon village.